The Wedding Planner Magazine | The guest list will inform how your seating charts will appear, as well. So, take your time and wisely select the people that will share in your momentous day. In the excitement of planning your wedding, the fine details are sometimes overlooked. It’s important, therefore, to sit down with your fiancé(e) and begin to compile your guest list as soon as possible. Keep in mind that the size of your budget will determine the number of people in attendance. In creating the guest list, include the obvious attendees: family and close friends. Also, consider co-workers and others who would, potentially, be offended if they were not included. Remember that not everyone you invite will be able to attend. List your guests in the order of their closeness to the bride and groom, taking into account the necessity of their attendance. In doing so, be mindful of each person’s feelings and sensitivities. This may seem difficult, but you want everyone to enjoy your special day, and it’s more than worth the time and effort. Be mindful of your guests’ individual needs and restrictions (e.g., food choices, transportation constraints, venue accessibility, etc.). Be organized. Use spreadsheets or other templates that can be easily modified to accommodate guests’ responses to your RSVP’s. Separate your data into columns and rows, indicating the guests’ names, contact information, responses: ( ) Attending ( ) Not Attending ( ) Most Likely Attending ( ) Ceremony ( ) Reception ( ) ( ) Other Special requests ___________________________. 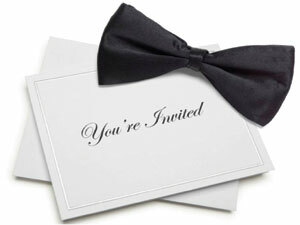 The guest list will inform how your seating charts will appear, as well. So, take your time and wisely select the people that will share in your momentous day.